Escape from Moscow: Russia’s The Next Great Exodus since the 1917 Bolshevik Revolution | The Law Offices of Yuri Tsyganov, P.L. The Russians are coming! Yes, they really are and in numbers which have not been seen since the 1917 Bolshevik Revolution. The political and socioeconomic landscapes in Russia have long been dominated by widespread corruption and back-room “Banya” deals. Now that Premier Vladimir Putin has been re-elected for another twelve (12) year term, the future promises to hold more of the same elements which keep so many of the country’s business and entrepreneurial minds awake at night: Laws and regulations which do not favor those who are not willing to “play the corruption game” and the fear of sudden backlash from the government. These “Macro” events have forced many of Russia’s brightest to search for an “exit strategy”: A way to secure their family’s safety, future education and opportunities, and swiftly move their capital to safe and established/globally-recognized jurisdictions. The EB-5 Visa Program offers a speedy exit for those who are interested in a quick and relatively simple “exit”. Although there are over 240 USCIS approved Regional Centers, only less than a handful are producing speedy approvals for investors in a matter of one (1) to three (3) months. The reason for such unprecedented approval times is not only the quality of the projects offered by these Regional Centers and the USCIS’s familiarity with the projects and their top-managers, but also the current political situation in the U.S.
Job creation for U.S. Citizens and Residents has dominated the Presidential election up to this point. It is in the best interest of the Obama administration to have higher job growth numbers in the days leading up to the election. Although the jobs created by the EB-5 program are only a small fraction of the total new jobs created in the U.S. each quarter, the EB-5 remains a proven source of new employment and capital. To make a long story short, the current U.S. administration is in support of the EB-5 visa to the point where some Regional Centers are seeing USCIS approval taking place in less than six (6) weeks! It is almost as though a “Perfect Storm” has taken shape of the EB-5 visa in the form of Presidential support and bi-partisan backing from both Democrats and Republicans in the House and Senate. For the Russians seeking freedom from political oppression, unfavorable business practices and regulations, and widespread corruption, the EB-5 is a perfect way out. According to numerous economic studies, the EB-5 visa is regarded as the most cost effective and expedient method for “luxury immigration”, which is ideal for the affluent/passive Russian speaking investor. Since the results of the Russian Presidential elections, we are seeing a wave of new potential investors from Russia and its neighbors, seeking to quickly relocate their family and capital to the U.S. Our law firm feels that Russia is the new “hot market” for EB-5 and will continue to work with investors from The Russian Federation and the CIS countries for years to come. 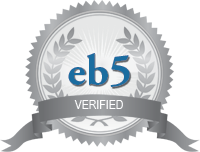 Please visit our website www.EB5InvestGreenCard.com to learn more!